ACCT are updating our contact details and so are requesting that ALL members email e.shepherd@acctsheffield.org.uk with your children’s names and an active email address we can use to contact you. (Only this information please, no other details). Even if ACCT has your details please email to confirm the address is still in use. Thank you! Friends For Children’s Charities for our Christmas Treats! ACCT would like to thank Friends For Children’s Charities (FFCC) for kindly funding our Christmas treats activities and a special treat for our parents and carer…to follow in the New Year. Friends for Children’s Charities, (FFCC) are a group of 11 friends independently fundraising for local children’s charities. Last year we raised over £60,000. We are all volunteers and support smaller, volunteer led charities that are often forgotten in the shadows of the more high profile ones. With no admin costs or overheads, every penny we raise benefits local children. FFCC create a fantastic opportunity to really make a difference to local children’s lives. Charities and children’s groups often need additional funds for a specific project, for example purchasing wheelchairs, sensory room equipment, much needed respite etc. FFCC support them using funds raised from our own events with no input from the charity. Despicable Me 2 Cinema Screening for all the family – On Friday 3rd January we had exclusive use of a screen in The Showroom cinema. The sound is reduced and lights on low for an Autism friendly showing. We had Soft Play and party food, The Play Arena was hired with exclusive use for ACCT families. We had a Pizza Express meal on Wednesday 18th December for our teenagers to get together, supported by staff. Rhiannon loved going to Pizza Express with Teenager Club as ‘I get to hang out with my friends and eat pizza! !’ We both loved going to see Despicable Me 2, such a funny film! I loved hearing the children laughing all the way through. Rhiannon met up with her friend too. A lovely thing to do during the holidays when lots of us are stuck in the house and isolated, it’s always lovely to see ACCT friends too! After ten days of my 2 wee aspies boiling through my house like a kettle, it was a well deserved break to the go the cinema, they loved it. The play arena is fantastic because it’s not heaving and therefore my children don’t get overwhelmed and distressed, which they would ordinarily do, they have a wonderful time, thank you acct. Both my two aspies loved their treat at play arena and went wild because there wasn’t as much noise as at busy times. Huge massive thanks from us as parents too, was great as a treat for us. My boy loved the chance to run around with his friends at the Play Arena! Usually these places are too busy for him and he usually gets some degree of hassle from other kids. We enjoyed the chance to have a coffee with other parents, knowing he was safe and happy. Thank you so much. We did something that we would not attempt at all normally,and so for my son it really was a very special treat ,.it was good to see him so relaxed and enjoying himself and being with other children and interacting .We also as parents enjoyed the chance to relax and talk to other parents. It was fantastic to be able to go the the cinema as a family as the special screenings arranged by ACCT are the only ones where my eldest son can cope with his difficulties and us all feel a sense of acceptance from the other wonderful ACCT members. Thank you so much. Both my boys loved the play arena, we also could relax in a environment we usually don’t entertain has play centres are far to busy, loud and cramped, because we used it with Acct, we felt much more relaxed knowing we was surrounded with parents that understand my children’s conditions, it was much more relaxed for both our children and ourselves. Thank you. George and Harriet really loved the play arena. George finds it really hard to cope in these kinds of environments. Normally it ends in tears as its just too busy for him. He thoroughly enjoyed it this time. It was a real treat for him and us. Thank you. We stopped going to play areas because my youngest regularly had meltdowns and behaved in Unusual ways. This meant his older brother didn’t get to go either. You can’t imagine the relief we experienced taking our boys to a play area, knowing that we didn’t have to worry about being judged if youngest had a meltdown. The fact it was fully funded meant we could attend, as a recent redundancy would have prevented us otherwise. Thank you for your generosity. It gave our family a welcome timeout. We will be having our carers and parents activity in soon…watch this space! Without funding from groups like FFCC we would be unable to arrange such wonderful activities that enable our members and their families to share in positive social experiences and have fun! Getting together as a group helps ACCT members support each other and share our knowledge and experiences. So thank you once again FFCC…you helped us all have a Merry Christmas and a Happy New Year! Drum roll……… and the winners are……..
A Meal for Two People, with Champagne on arrival, at The Cavendish Hotel, Baslow. Donated by The Cavendish Hotel, Baslow. Kindle Fire HD Donated by Henry Boot. 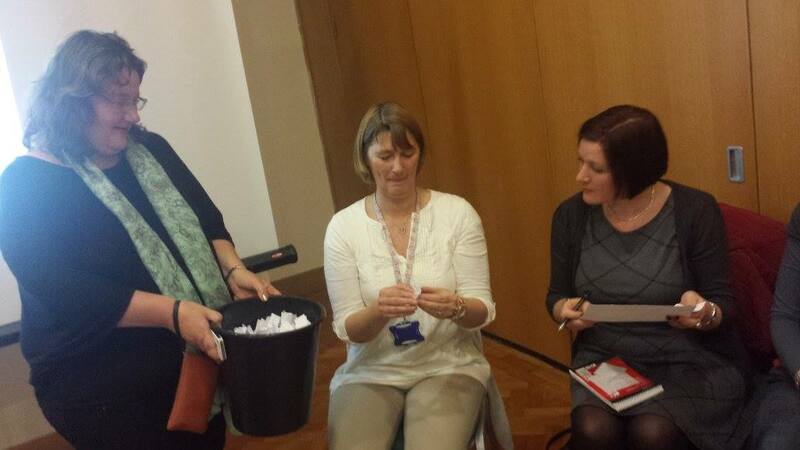 Thanks to Jaqueline Gilmore for drawing the winners at the meeting and all the contributors to this years prizes. A total amount raised will be announced in the fundraising update. ACCT are running a program of Sporting Activities over the next few months. The various activities on offer are a great way to promote confidence and self-esteem, socialise and make new friends and have fun in a supported environment, along with the physical and emotional benefits of exercise. Various fun activities to include basketball, football, frisby and dodgeball. Various fun activities to include basketball, football, frisby, badminton, dodgeball and invasion games. ACCT Play-workers work together with experienced coaches to deliver these activities.